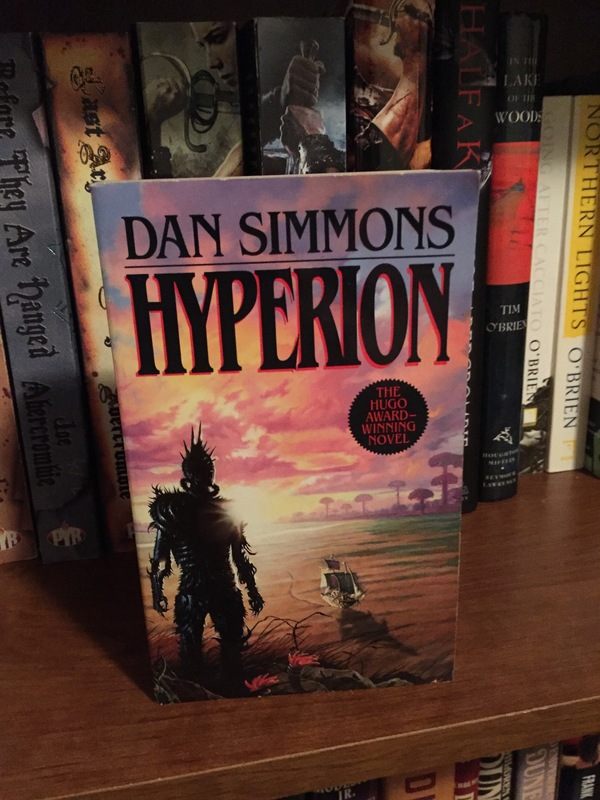 Starting on June First my friend Sadie and I hosted a Group Read of Hyperion by Dan Simmons who I knew of from his SciFi and Sadie knew of from his Horror. When we both realized we enjoyed his work we knew we wanted to do a Buddy Read and when we told folks we were going to read his famous book Hyperion we discovered a lot of folks wanted to join in! So we announced a group read and had over twenty other readers join in! 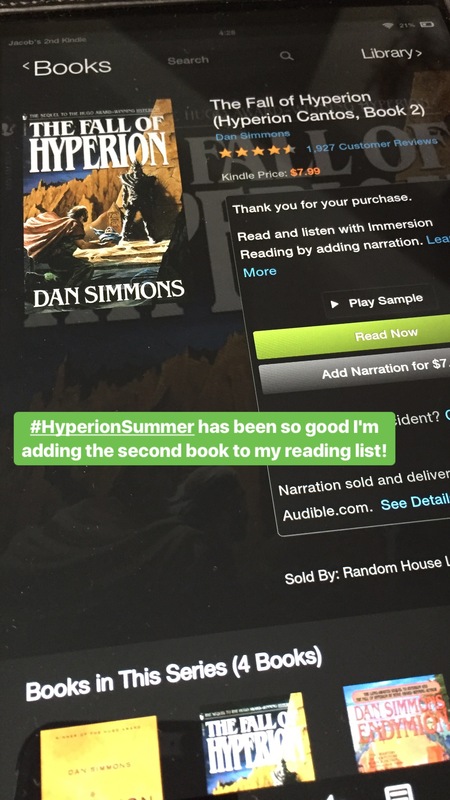 #HyperionSummer was a go! As a SciFi reader I had seen Hyperion around for ages! So I was already in love with this distinctive cover. 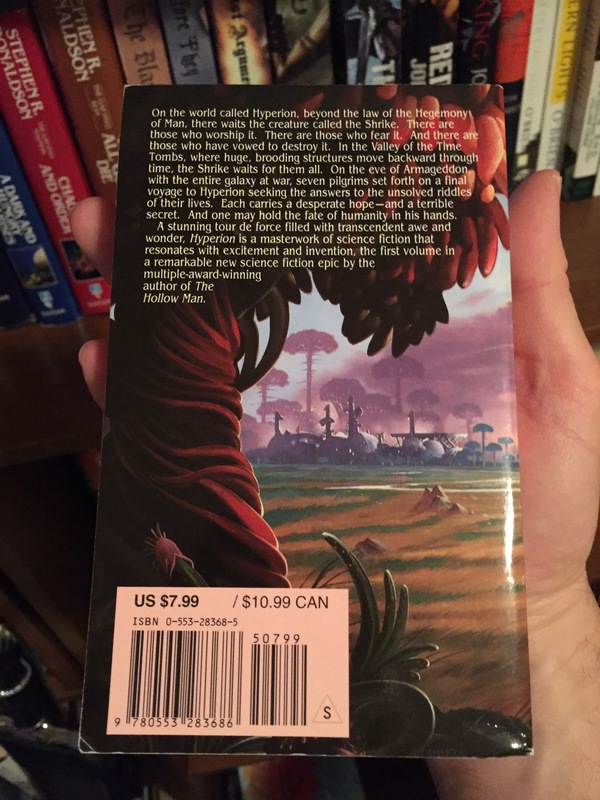 I had a difficult time finding it so I turned to the wonderful Collectible Science Fiction and they were able to locate exactly the book I wanted! And what an awesome looking book it is! So now I had the book, I had reading buddies, and I had a start date. There was no turning back from my journey to Hyperion! Time to find out what all the hubbub was about! I won’t keep you in suspense. I enjoyed the book. BUT I didn’t enjoy the author’s tendency to show off his own intelligence. Dan Simmons is obviously a smart man. It just feels like he has to waste a lot of time in his books proving that. It’s been the same way in every book I’ve read of his. Kind of off putting for me. Also he realllllllllllllly likes dragging things out. To read his work I find that I need to be ok skimming the pointless distractions he fills his stories with. I hate skimming books. All that said it was a good book! Ok now we have the high points out of the way; now to delve more deeply into the book. This will be mostly non spoilerly as I hate spoiling books but there’s a chance something might be too revealing so read on at your own peril! Hyperion is broken into several back stories featuring the tales that brought the main characters together on a pilgrimage to the planet Hyperion. In the background is an interstellar war, but although you think you know the sides in the war you realize quickly that there is more to the story than you realize at first. The Priest’s tale was told in a journal style. I have to be in the mood for a story like that. Honestly it wasn’t bad, but this story was the weakest link in the book and should have been edited down 75% as it dragged on way too much. The Warrior’s Tale was…. unexpected! It THRUSTED you into the action…. ok silly joke but if you’ve read it you’re hopefully laughing now! The Poet’s Tale was intriguing! You get a picture of how the future developed and what happened to Earth and where Hyperion came from. The Scholar’s Tale was quietly horrifying. Putting yourself into his shoes is terrifying. Very well done. The Detective’s Tale was boring and drawn out. Glimpses into who the real enemy is, but honestly this is one of the worst Detectives ever. The author has had her asking the most pointless questions this whole book. If he didn’t tell you she was a Detective you wouldn’t know. The Consul’s Tale. Best. Tale. Period. Then right when everything has built up to a huge climax…. you run out of pages. The end. Disappointingly so. Which leads to you buying and downloading the second book while away on vacation because you just have to KNOW, you know? Or is that just me? Anyone? Bueller? 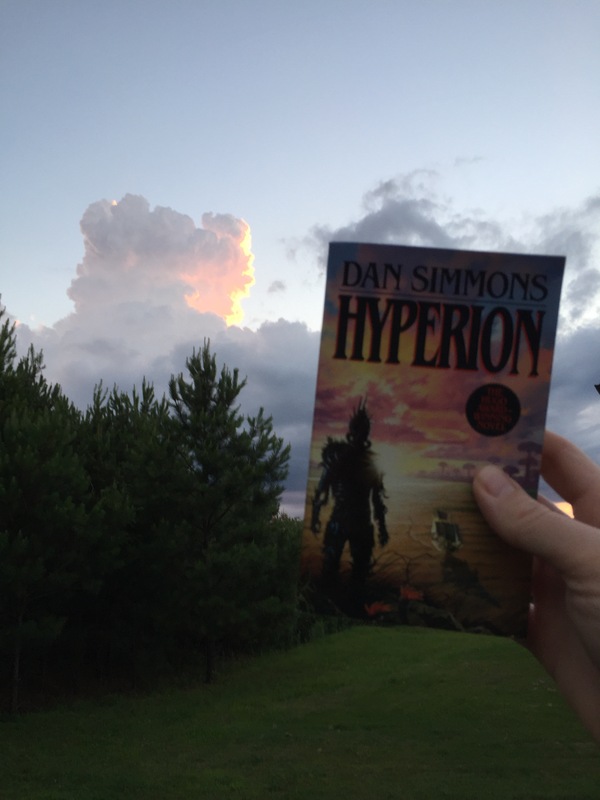 This entry was posted in Book Reviews and tagged DanSimmons, Hyperion, HyperionSummer on June 13, 2017 by redstarreviews. I really enjoyed this book as well, despite the uneven chapters you mention. Completely agree that the Consul’s tale is by far the best. Sol and Brawne’s chapters probably round out my top three. Might have to go through this series again soon, my memory is a bit sketchy on the rest of the books but I do remember really liking them all. I enjoyed the second book. It cut through more of the dross and told the story at a better pace I thought.